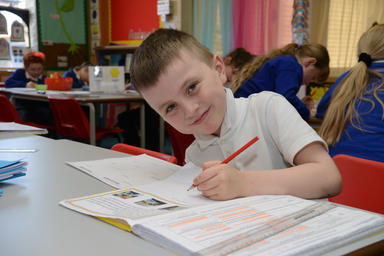 At Fell Dyke Community Primary School we offer a curriculum which is broad and balanced and which builds on the knowledge, understanding and skills of all children, whatever their starting points, as they progress through the school. The curriculum incorporates the statutory requirements of the new National Curriculum 2014 and other experiences and opportunities which best meet the learning and developmental needs of the pupils in our school. The aim of our curriculum is for pupils to have the skills to be successful, independent and motivated learners in readiness for their next stage of education. Children in Nursery and Reception follow the Early Years Foundation Stage Curriculum. This learning challenges children and encourages them to develop into independent, motivated learners and thinkers, full of curiosity about the world around them within a fun, happy and secure environment. Children have opportunities to explore, enquire and to take risks through practical, hands-on learning experiences. 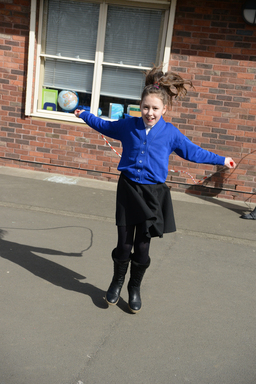 At Fell Dyke we have a high quality outside learning environment which the children are able to use throughout the day. Fell Dyke Community Primary School follows the National Curriculum from Year 1 to Year 6. Each year group studies a topic over the half term. This enables us to provide meaningful and cross curricular learning experiences for our children which enable them to make connections with the world around them. The spiritual, moral, social and cultural development of our pupils and their understanding of the core values of our society are woven through the curriculum. Theme weeks, whole school activities and opportunities within and outside school all enrich and develop the children’s learning. After school clubs and events extend these opportunities further. Should you require any further information about the curriculum followed at Fell Dyke please enquire at the School Office – we will be pleased to assist you.